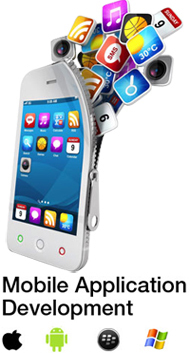 At PcPatchers Technology, we have professional mobile app developers, who are well versed with the technical ins and outs of Apple’s iOS/iphone App Development, the Google android App development, Microsoft windows App Development as well as Blackberry application development under a single roof. Most of us feel that how properly your application provides your business efforts as well as customer’s desires can be decided before the start of growth process. We consider this particular position due to the fact that outsourcing mobile app development to the wrong agency quickly equates to inability. At Pcpatchers Technology Pvt. Ltd, we do the job hand-in-hand along with you along the phase on the mobile App development procedure to make sure that success is achieved from the conceptualization phase to the final delivery stage.. User Oriented Design: The success rate of your mobile app depends on the number of people it attracts. Thus many of us talk to your ideas, carry out a thorough purchaser study on the end users–clients, customers, personnel for example. —before continuing to the design and style period. Platforms: An extensive buyer study, pinpoints the suitable mobile operating system your business app needs to target. 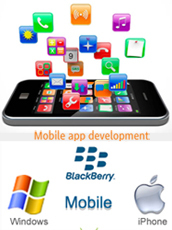 Each of our developers then employ this expertise to be able to modify iPhone apps, android mobile app, Windows Phone App, Blackberry mobile app or even unique mobile app that will function on various mobile operating system. Process: Understanding the clientele’s need is usually done by choosing the right process to develop a very good mobile app. This we do simply by deciding on a design and style standard, Developing attributes adopting the collection standards, tests this formulated Mobile app along with properly releasing that for public. Why we are wonderful partner? We are also prepared warning Non-disclosure Deal sorts when they have to have come up. You might or you do have an idea for any mobile app or mobile software and what should be performed to produce it successfully. However, we all get the move further to focus on cell phone software progress that creates the top utilization of this top features of the unique system along with the development dialect, based on no matter whether we're possessing a cell phone software for your iOS (iPhone/iPad), Android, Blackberry mobile phones or Windows mobile. 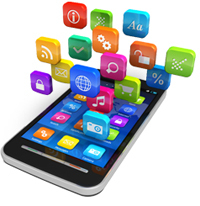 If you have any mobile apps development idea, we can provide the technical expertise to make it a reality. 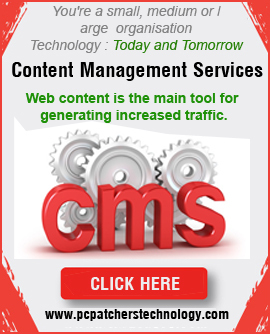 Kindly get in touch with us at ………..